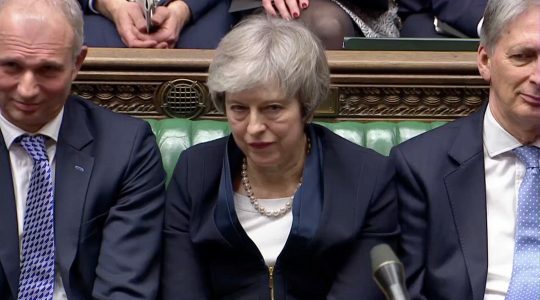 LONDON (Reuters) – British lawmakers defeated Prime Minister Theresa May's Brexit divorce deal by a crushing margin on Tuesday, triggering political upheaval that could lead to a disorderly exit from the EU or even to a reversal of the 2016 decision to leave. "The Brexit deal is basically dead," said Anand Menon, professor of European politics and foreign affairs at King’s College London. This entry was posted in Uncategorized and tagged European Union, United Kingdom. Bookmark the permalink.